What Things Can I Do with a Business MBA Degree? Education What Things Can I Do with a Business MBA Degree? Are you a career changer? Are you looking for a promotion within your organization or just looking at getting started in your career? Did you know 47% of the 2,000 online MBA students surveyed by Princeton Review were “career changers? ?” Some 42% of students surveyed at the top 25 schools said their employers were helping pay for their degree at an average of 61% of the degree cost. Also 44% of students said they got a promotion while earning their online MBA and their average base salary increase on completing the degree was 25%. 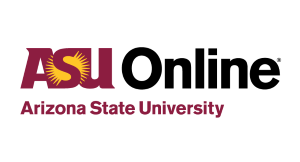 U.S. News ranks ASU in the top 5 in the nation for online education. U.S. News named ASU the #1 university for innovation in the country, ahead of both Stanford and MIT. With a business MBA degree, there are so many different types of degrees to open different doors for you. You can do a variety of different things with this degree and you can go almost anywhere to do it. If you are considering a Online or Campus MBA business degree, take a look at these 50 things you can do with it for your career. Start your own business. Many people who get their business degree end up opening their own business. There are so many different types of businesses you can open that will allow you to be your own boss. Human resources position. Human resources is an area of business that is not going away anytime soon and if you really like to help people then going into human resources may be a great option for you. Human resources consulting. You can offer human resources consulting services to help businesses provide better benefits and programs for their employees. You can do this through a consulting company or on your own. Talent acquisition or recruiting position. One of the types of jobs that you can get with your business degree is in the recruiting field. You can be the person who focuses on corporate recruiting and talent acquisition to help others find their perfect and dream job. Business consulting. There are so many things that you can offer consulting services for. Whether you want to go to work for a big consulting firm or you simply want to offer your own consulting services on your own. Management consulting. Beyond business consulting, you can also offer management consulting to help companies develop their management style so they can better take care of their employees. Accountant. If you like numbers and balancing books, then this is the perfect position for you. You may have to get other certifications with this job. Advertising. Advertising is something that every company invests in and if you have a creative mind, then you should consider a job in the advertising industry. Banking. People use banks every day and you can start as a teller and build up from there. You can choose a banking career job that is client facing or something more behind the scenes. Investment advisor. Everyone who is concerned about their retirement is interested in getting information about their investments. You can be the person to advise them on the best strategy with this position. Financial services. If you do not want to deal so much with investments, another similar option is getting involved in financial services. Entrepreneur. If you are a creative person, then you you make your own product. This is called being an entrepreneur and it can be a lot of work but also very rewarding. Stockbroker. If you are interested in the stock market and want to be involved with it, then you should consider a job as a stockbroker. Social media manager. Social media is a huge part of business today and you can make a good amount of money managing social media accounts for a business. Business analyst. Businesses these days are more complicated than ever before. This is a role that is ideal for someone who likes to do research and then dig deeper into the business analytics to find a better solution to any issues that the business is currently facing. Forensic accountant. This is a role that is becoming more and more necessary every passing day. It is a role where you use research skills combined with your accounting skills to determine where money is going for a business. This can be a contract job or you can get a job like this through the government. Product manager. As a product manager, you would be responsible for marketing and developing the ideas for a product. You can do this for yourself or you can do this for a company. Data analyst. 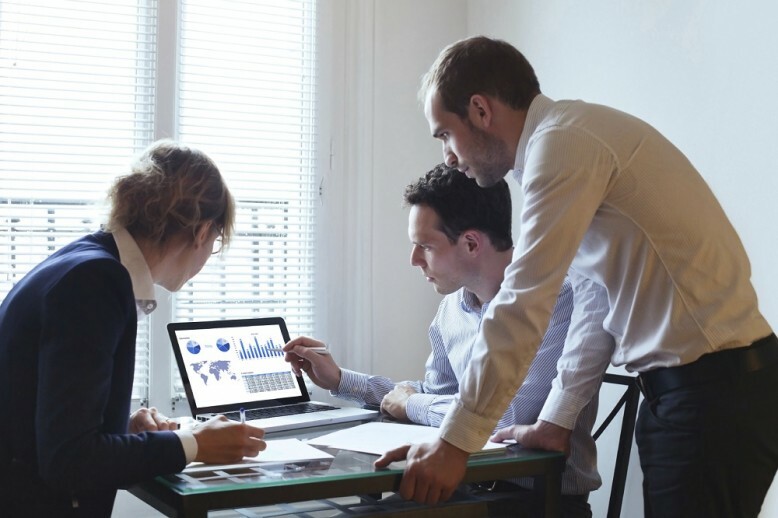 Businesses use all kinds of data every day to further their business and make it better. The data is not in usable form most of the time so they have to have people take a look at it to decipher it. That is what this role is all about. Also see data scientist degree options. Insurance underwriter. If you want to be involved in the insurance process, then becoming an underwriter may be ideal for you. Project manager. If you would like a job that is constantly changing, then becoming a project manager may be ideal for you because you will constantly get new projects to focus on. Corporate investment advisor. Individuals are not the only people who need investment advice. You can also work as an investment advisor for businesses. Corporate investment banker. An alternative job that allows you to provide assistant to corporations is as an investment banker. Risk analyst. You can take a look at all of the risk possibilities of a corporation with this job and provide them with ways to lessen their risk. Risk manager. Beyond offering your analyzing skills to determine risk, another option would be to provide risk management services to constantly examine new risks and what you can do to lessen the odds. Chartered management accountant. When a company charters another company, they will need help and you can offer the accounting help to bring the two together with this role. Sustainability consultant. Sustainability is something that is a very hot topic in today’s business world and you can offer assistance in this area as a sustainability consultant. Actuarial analyst. If you like math and analyzing data, this is a good role for you because you can combine all of that for those role. Operational researcher. In this role you will spend your time looking at qualitative operation problems for the company you work for. Human resources officer. If you want to go beyond working in HR, you can also become an officer but it may take some extra time to get to this level. Logistics and distribution manager. In this role, you will work with a company that has to manage a fleet or trucks with product for other companies. You would be responsible for making sure the distribution channels are properly aligned and that the best routes are taken for logistics. Marketing executive. If you want to offer marketing skills, you can do so by becoming a marketing executive. With this role, you will focus on providing marketing ideas to clients. Retail manager. This may not be something that you have dreamed about with your degree but you can take your retail career a bit further with it and become a manager. Sales executive. If you want to work with people on a daily basis and want to sell items that you are passionate about, then becoming a sales executive is a great option for you. Systems analyst. Businesses these days use a variety of different systems to keep their businesses running day to day. In this type of role, you can help these systems get better over time by analyzing them and making sure they are doing the most they can. UX analyst. Businesses also use UX systems these days and, very similarly to a systems analyst, you would be spending your time analyzing the UX system and making sure it is working well for the company. Real estate. While you will need to get another certification to work in this field, you can use a lot of the business degree knowledge to succeed in this field. Financial analyst. In this role, you would determine what the best options are for money and purchases within a business. This could include deciding whether or not to purchase a new facility for your business. Management analyst. This role is slightly different in that you will still be analyzing a lot of data but you will be determining the best moves to help the business run smoother from the inside out. Credit analyst. If you want to work in the financial field, you can become a credit analyst who will take a look at the credit profiles of others to determine their credit availability. This can be related to credit for individuals or credit associated with a business. Training and development officer. Many companies are spending more and more money on the training and development sectors of their business and if you want to be involved in training programs to help people advance their career, this is a great option for you. Secretary or administrative assistant. This is a great role if you do not want to be in the spotlight but still want to make an impact on the business. You have to enjoy helping people for this role because that will be a lot that you do in the process. Public relations executive. Public relations jobs require you to be creative while still telling the truth and representing the company in a positive light. You will need to figure out the best ways to deal with news, both good and bad, while making sure that the public relations image of the company remains positive. Compensation and benefits manager. These are two components of a business that are very important for keeping quality employees and if you want to be challenged to always strive for better, this is a great option. Customer service manager. You could be in charge of the customer service or call center team for a company. This means you would essentially be the face of a company. Insurance broker. As an insurance broker, you will be able to help people get better rates for all kinds of insurance. You will need to get additional training for this role but the basics are relatable. Market researcher. An important part of a company trying to target their market is learning more about that market and that is where this role comes in. Retail manager. Most people want to get away from retail but you can make a living on this role and it is great for people who love the retail space. Teacher or professor. If you want to teach others what you have learned, you can always become a professor in the field. Career consultant. In this role, you can help people find their calling and help them find their passion. Volunteer coordinator. If you are looking for a role that is with a non-profit, this may be your best bet because it allows you to help others give back. Operations manager. Provide oversight for a company or organization’s facilities. Cannabis application writer. Assists in the application process for writing and preparing municipal and state cannabis applications for a variety of clients. This is a technical and grant writing position that requires extensive project management skills. Cannabis lab manufacturing director: Oversees and managfes personnel that are needed to process and manufacture cannabis. Oversees production by the creation and review of production schedules. Performs regular QA and QC duties that require analytical testing for consistency and quality. Director of cannabis cultivation: The director will manage the daily operations of the cannabis cultivation facility, and will provide close management of every stage of production, from propagation to distribution. Owner of a Cannabis dispensary: This differs markedly from the job of a store manager. Dispensaries work in places where cannabis is legal for medical reasons, but not for recreational use. Owners have to be up to date of relevant regulations and obey them carefully. Some dispensary owners may earn $100,000 per year if their dispensary is profitable. Cannabis steward: Serves and educates clients on what is in the dispensing catalog for a cannabis provider. This is typically an entry level, customer service-related position that requires long hours and working with clients in retail shops. Cannabis program manager: Responsible for the management of all community engagement work and analysis to support the cannabis health equity impact assessment, as well as investigation and monitoring. Cultivation lead: Manages and maintains grow house protocols for cultivation facilities of various sizes. Also may clone, transplant, feed plants, defoliate, top, flush and perform inventory management. Develops and maintains grow warehouse protocols. Prepare for today’s business world with the W. P. Carey School of Business at Arizona State University. Earn your specialized degree or undergraduate certificate 100% online from the same world-renowned faculty that teaches ASU on-campus courses. Fields of study include business administration, business analytics, information management and much more. ASU was named the #1 university for innovation by S. News & World Report, ahead of both MIT and Stanford. ASU is ranked #4 in the nation for Online Bachelor’s Degree Programs by S. News & World Report. ASU is an employer favorite; The Wall Street Journal ranked ASU as Top 5 in the U.S. for producing the best-qualified graduates. ASU was ranked by Money magazine as one of the Best Colleges delivering the most value in the U.S. Follow your path, and find your purpose at ASU.edu.